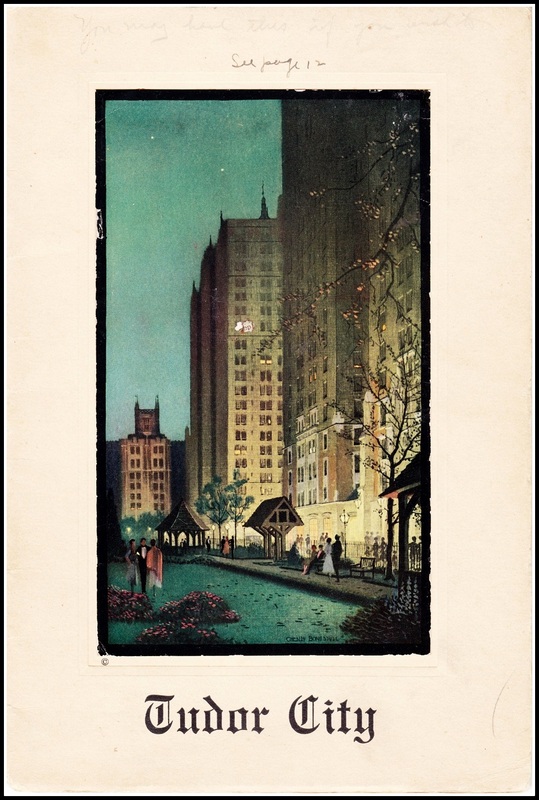 Tudor City's main drag was called Prospect Place when the complex opened, a name probably dating to the 1870s, when Prospect Hill had its first surge of prosperity. 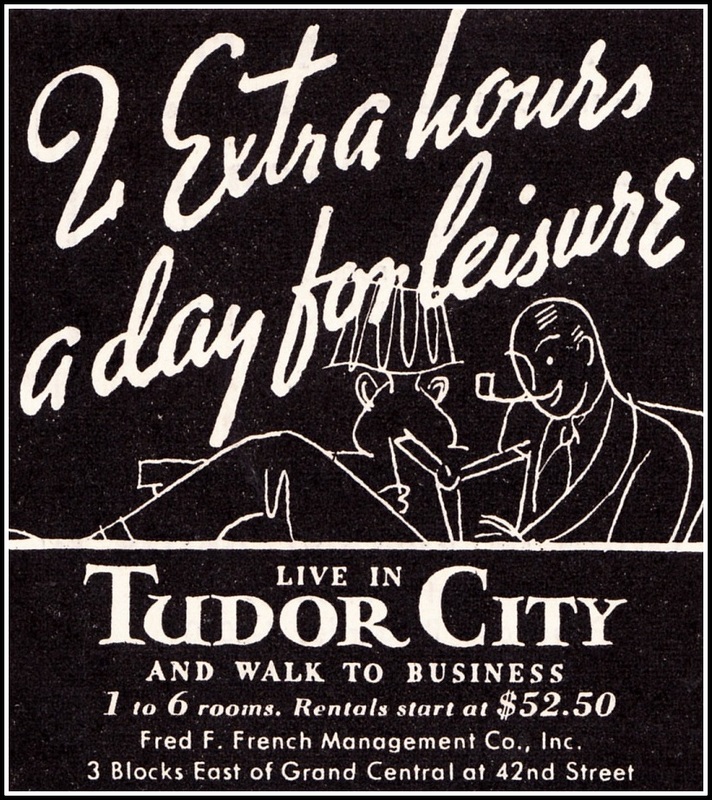 It was renamed Tudor City Place in 1947, for the most pragmatic of reasons -- more efficient mail delivery. 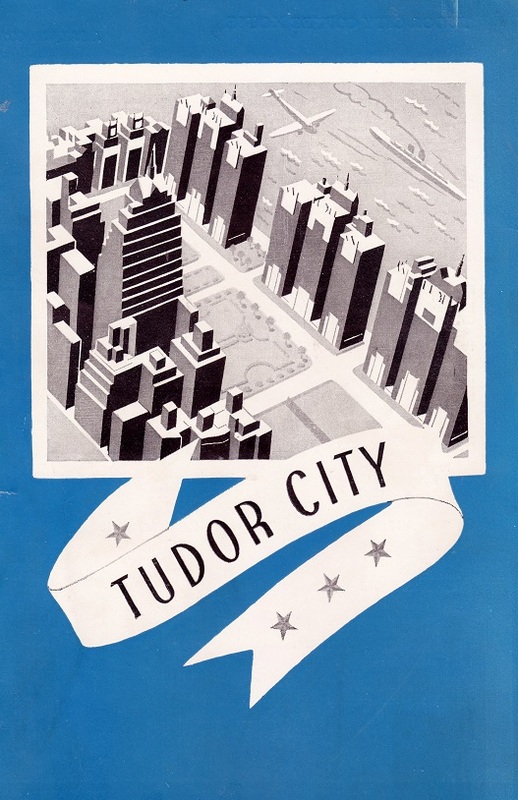 Seems that a lot of mail meant for Tudor City was being delivered to the other Prospect Place, in Brooklyn. 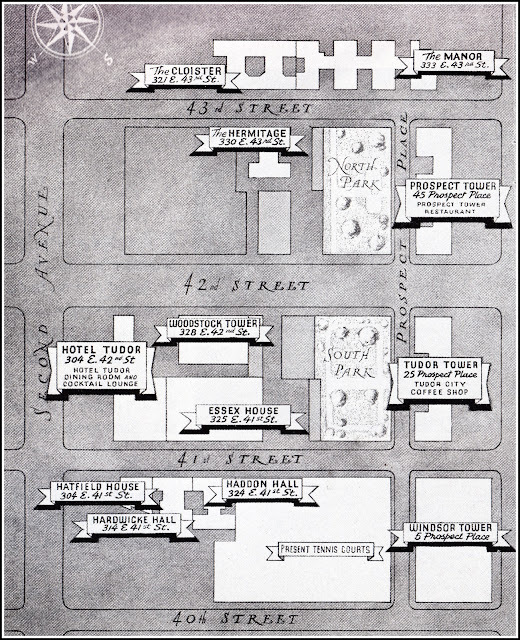 Thus it was decided to rename the street. 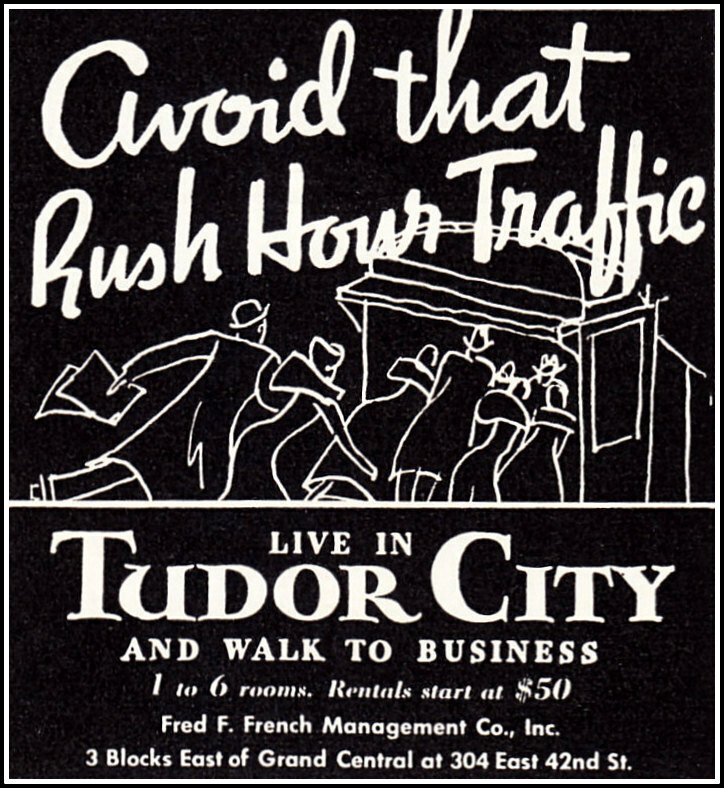 New signage in place, November 1947. 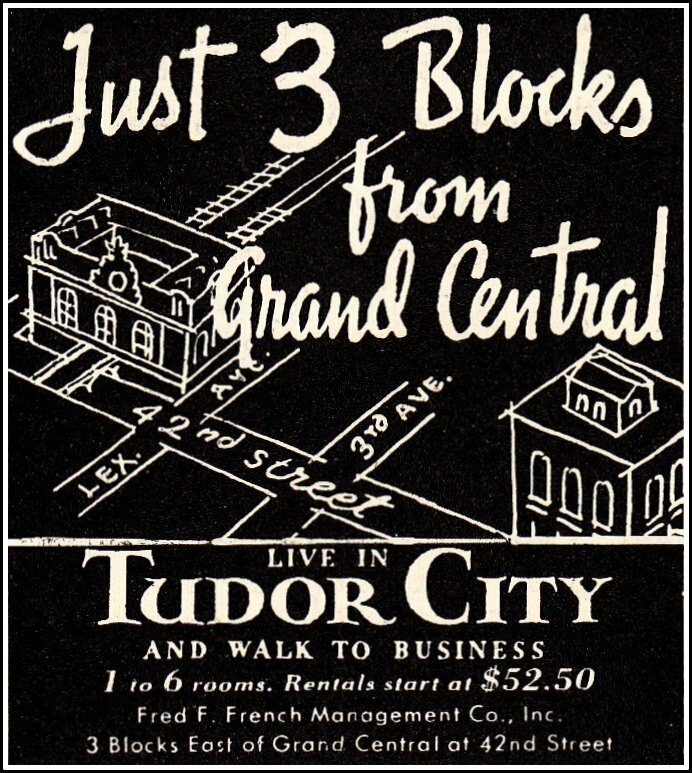 But the French Company preferred Tudor City Place -- most likely for marketing purposes -- and that was the name eventually approved by the New York City Council. The old name lives on today at No. 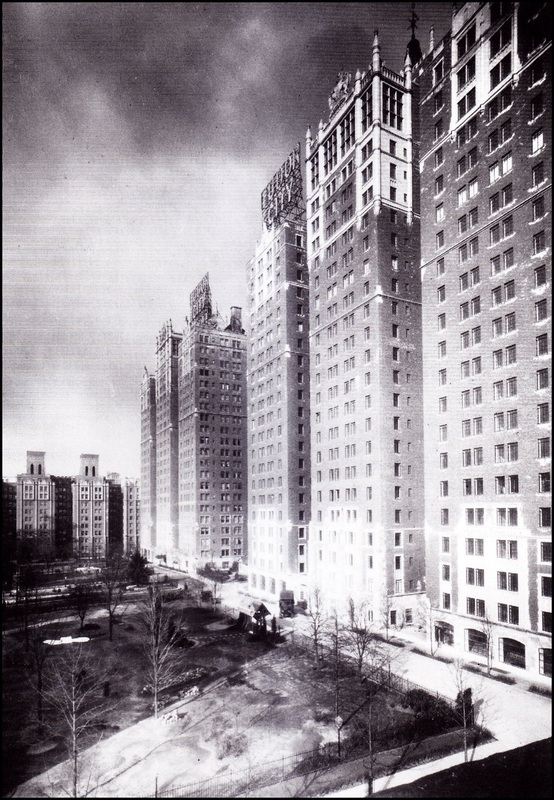 5, Windsor Tower, etched in stone.